Apple Will Now Poach Android Users With Gift Cards & Incentives! It seems Henry Ford’s quotes are becoming less relevant now, in the current business environment. Despite being the reigning crown of smartphone market in terms of brand loyalty, revenues and sales, $700 billion worth Apple has decided to openly poach Android users with incentives and gifts if they decide to switch. As per reports coming in from Apple centric blogs, it has been revealed that the top management at Cupertino, CA (Apple Headquarters) are very soon going to announce an extension of their “Recycling and trade-in program” to cover Android users. Apple employees at their stores would soon be trained to offer this program, and in case the user agrees, then they will assist in transferring all data from Android to iPhone. A new training program for all Apple retail employees is currently underway to help them learn the ‘poaching skills’. Some reports state that this recycle and trade-in program would cover all other operating systems such as Blackberry and Windows besides Android. However, as Apple CEO Tim Cook had earlier said that 85% of all new Apple buyers are Android users, it seems that this special trade-in program has been directed exclusively for Android users. In the coming days, we can see some new advertisements and marketing campaign regarding this program as well. Tim Cook is known for pushing boundaries when it comes to increasing sales, and this latest salvo at Android users is seen as a part of this exercise. In 2013, Apple initiated recycling and trade-in program for users of old iPhones so that they can easily convert into iPhone 5, 5S or 5C series which was just launched at that time. Apple 5 was being offered around $250-$275 with 16 GB memory on AT&T network, and people will actually liking this offer. This buyback offer is running now all over the globe, including India. The program was a success, as a similar exchange program for iPad was also launched soon after. 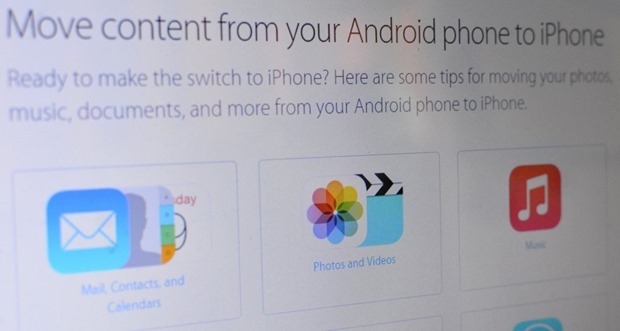 It seems that the idea for enticing Android users was brewing up since then, as in 2014, Apple released a comprehensive guide detailing how an Android user can comfortably switch to iPhone. Now, as Apple is planning to offer incentives and gift cards for Android users, market is abuzz with speculations: Will it start a new trend in the cut throat smartphone market? Will upcoming players such Xiaomi and One Plus also initiate similar campaign to attract iOS users?